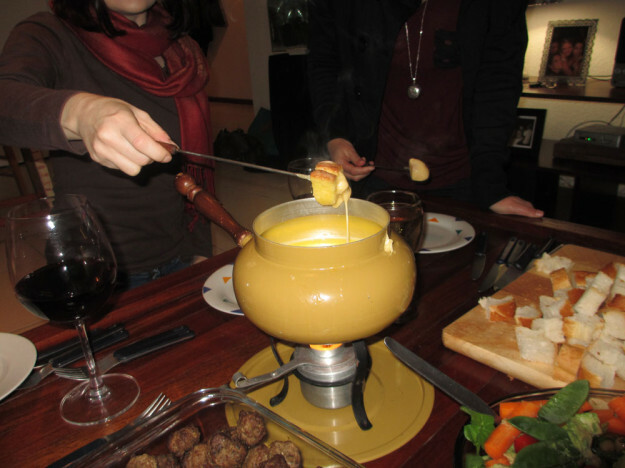 When I was growing up my parents had a Swiss friend and it was always such a treat when he would come and make a real Cheese Fondu. It was always a production and there was so much cheese, the kiddies would even get a special one that didn’t have the booze (we got apple juice in ours). 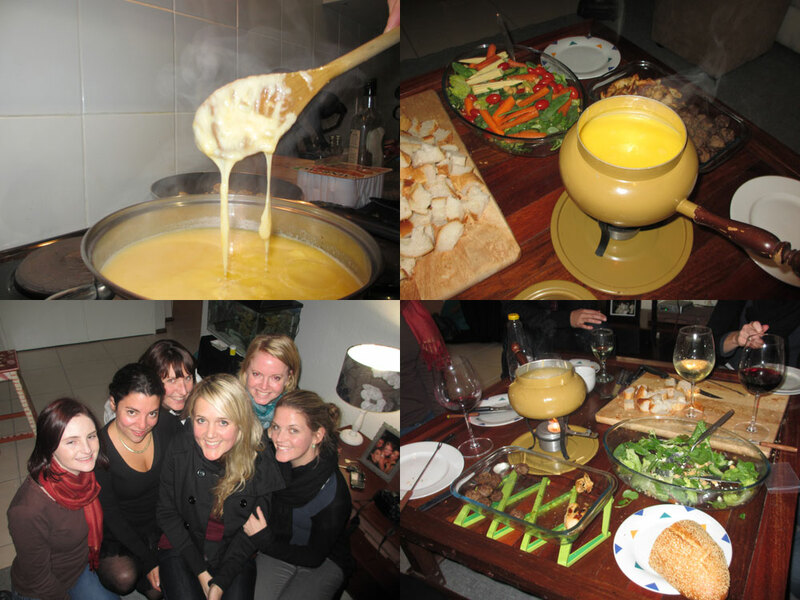 The fondu has always been a fond memory for me (had to add even more cheese there – sorry I couldn’t resist). So when girls dinner came around and HaylzDog suggested fondu I actually jumped a bit. Excite excite! Yes please! I had also recently acquired a proper fondu set from the Wam (aka the mom) which is such a beautiful 1970’s pooh brown colour and this was the perfect opportunity to take it out for a test drive. I got the hand written cheese fondu recipe from the wam and fondu night was on like donkey kong. Basically all you need to know is that a cheese fondu has 3 main ingredients, cheese (and a bucket load of it at that – 150 grams per person), garlic (1 clove is good) and wine (1 glass per person …) Anyways, the fondu was a success, we were all in cheese fondu coma’s by the end of the night. Ok I won’t lie the wine, both in our glasses and in the fondu, helped too. With a MOUNTAIN of food in the beginning, which included plenty bread, a salad (to cut the richness of the cheese), home made meatballs and chicken pieces cooked in rosemary and thyme. We made a meal of our fondu and were literally scraping the bits off the bottom of the pot. YUMMY DELISH! This entry was posted in Eat and tagged cheese, dinner with friends, girls dinner, yummy delish.